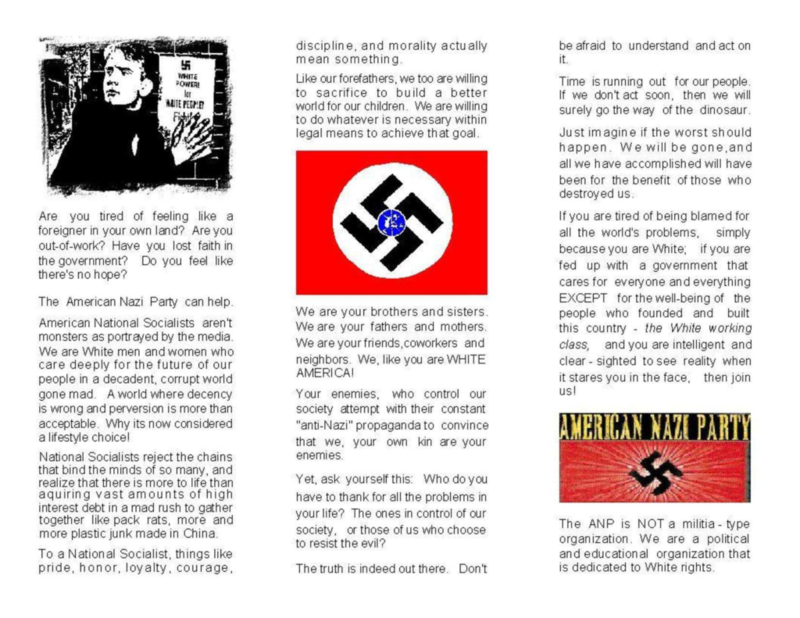 Download this ANP propaganda leaflet, make copies, and intelligently distribute them to your White brothers and sisters, who are looking for an answer to the evil that engulfs them in today’s corrupt capitalist empire, once known as America. That answer is modern Twenty-First Century National Socialism, as presented by the American Nazi Party and its adherents. 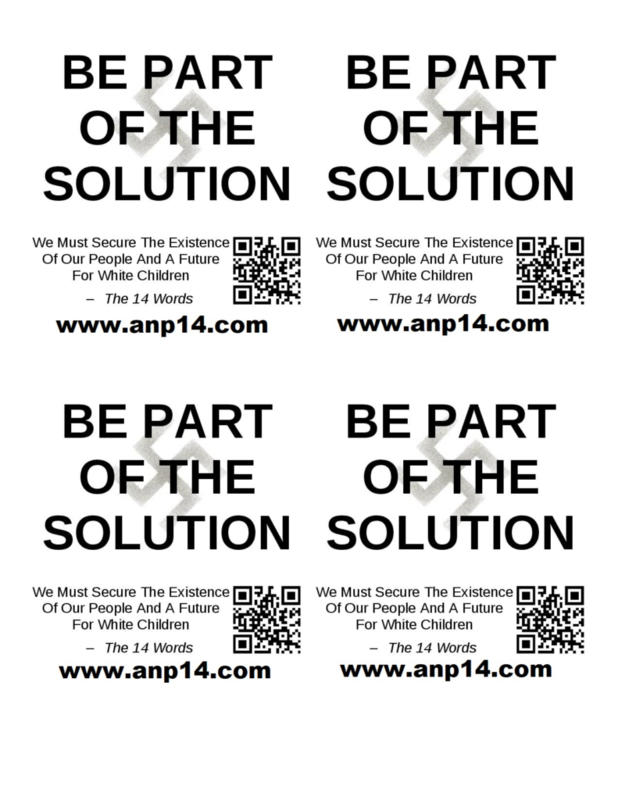 Are you tired of feeling like a foreigner in your own land?